Why Go Anywhere? Entertain At Home. 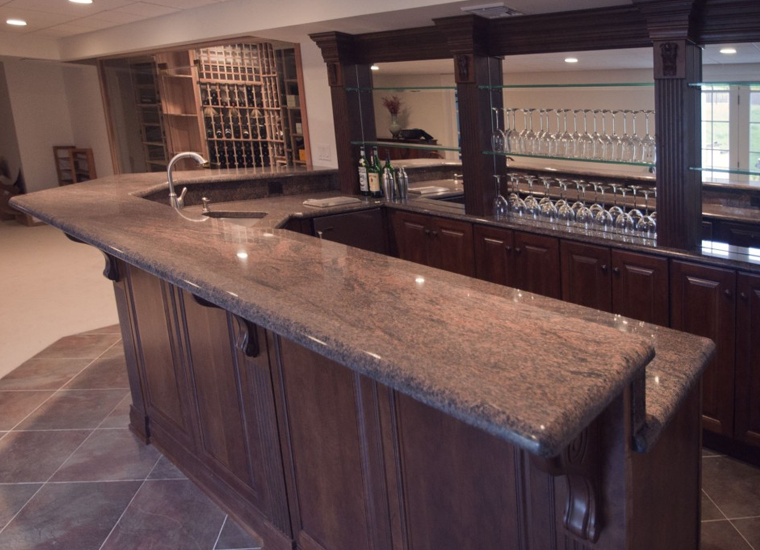 Enjoy entertaining from your custom bar tops. 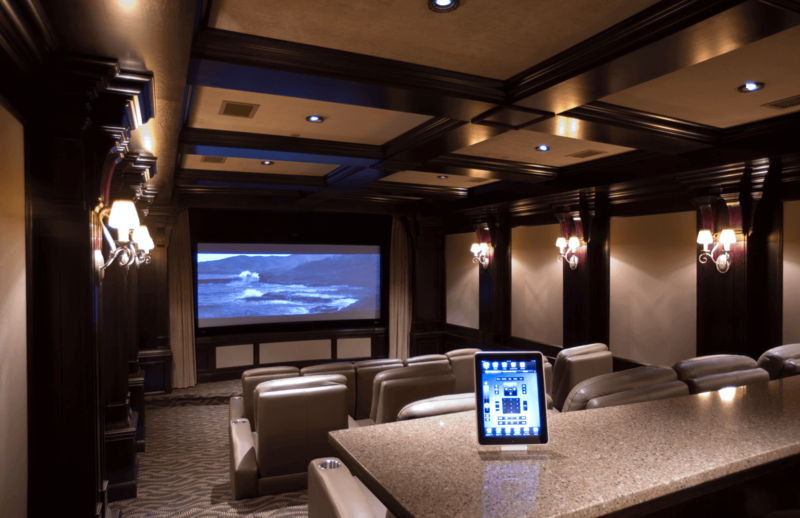 Home entertainment has become a very popular way to connect with family and friends. Let us help you entertain in style. Enjoy entertaining your friends from the comforts of your own home. 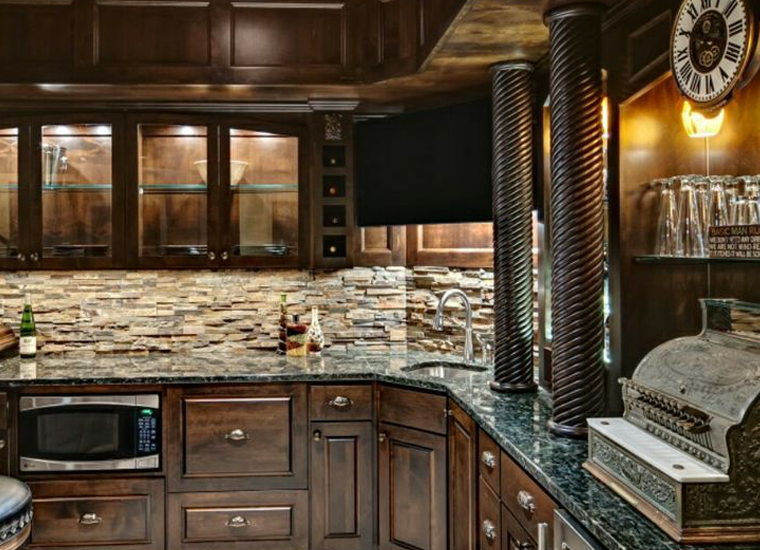 Dine in on luxurious new countertops or serve your favorite drinks from a fantastic home bar tops. Bar tops and prep-tops get messy. They have lots of traffic and plenty of spilled liquids. Look into granite, quartzite or quartz to top your home entertainment surfaces. The beauty, functionality and ease of maintenance is second to none. 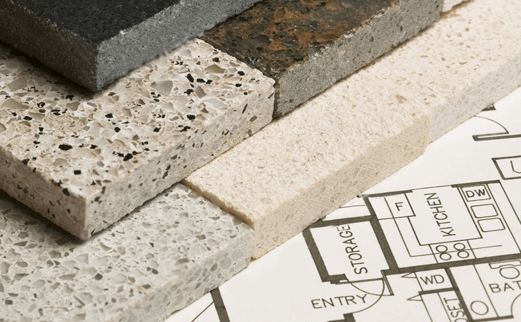 Each countertop material offers advantages and disadvantages. Some are stronger, resists stains, resists heat, scratches & cuts, abrasions and impact. Let us help you select the perfect fit for your project needs. 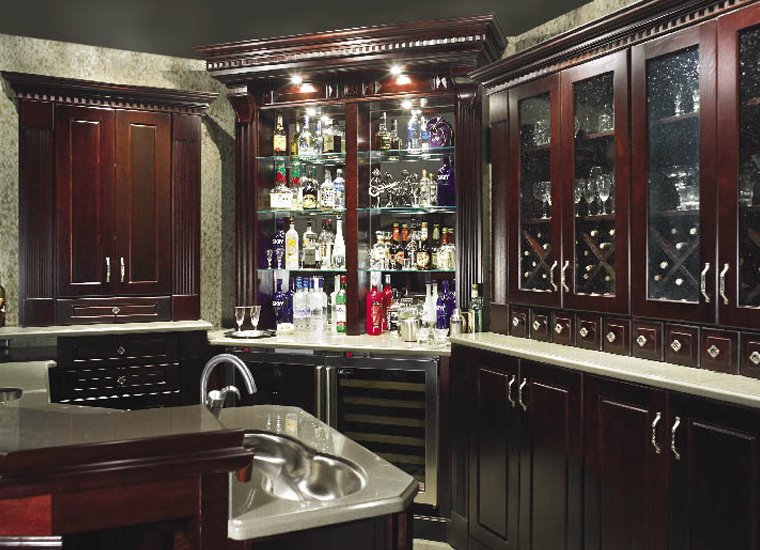 Add a kitchen or utility sink to your bar area. Sinks add functionality to home entertainment areas. 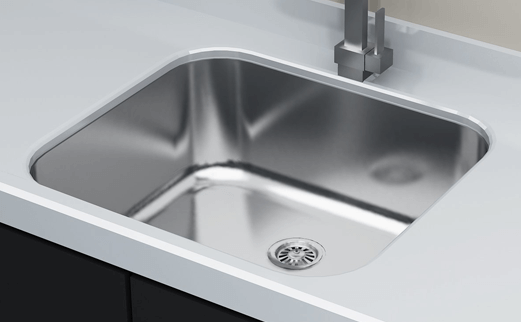 Whether you’re equipped for a standard wet-bar or a full blown bar kitchen, our stocked selection of sinks provide plenty of design options. 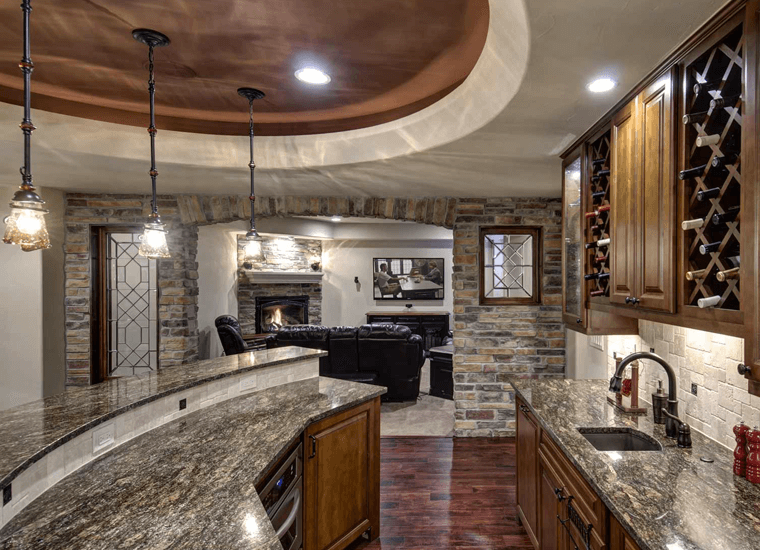 These are some of the trendy home entertainment renovation ideas available to home owners in the Kansas City Metro area. Come visit our facility and see our beautiful showroom located in Shawnee, KS. Talk to a designer about your renovation or remodeling ideas. Let us help you be a part of your dream house. 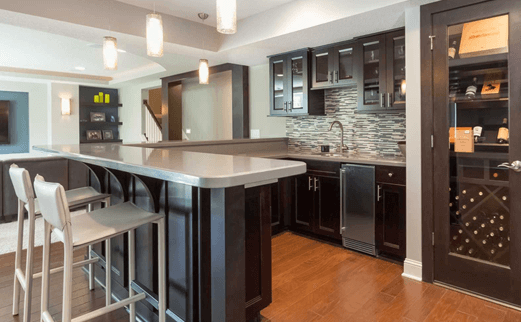 Enjoy your custom granite bar tops. They are easy to maintain and clean-up very easily. Granite or quartz is a great surface for a service countertop. They are both durable and are simple to clean. Entertain at home and feel like you are in a luxurious restaurant or bar. Show off your home bar today. Bar tops are often made with wood. 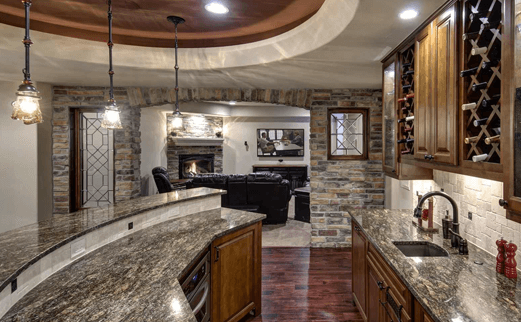 Granite and quartz are a great alternative. Often there is much less maintenance and the last forever. Countertops are always a part of home entertainment makeovers. 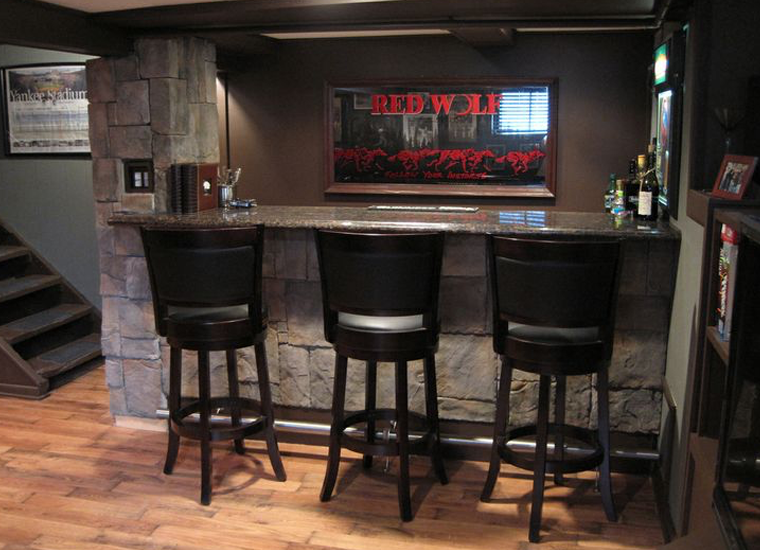 The inside of home bars are lined with countertops. They are often very messy, perfect for granite or quartz.